Zoeller & Born is one of the very few companies that produce German beer steins with 100% German materials. Their entire work force and artists are German. 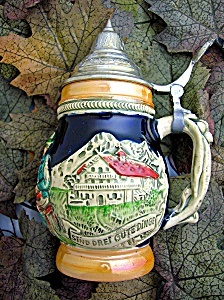 The advantage is that the chances of digressing from the glorious German tradition of beer stein craft is extremely slim. This family owned company was cofounded in 1956 by Alois Zoeller and Werner Born. Westwald region of Germany is uni versally famous for its top quality clay deposits. So naturally this became the ancient center of pottery. This later became an equally renowned center of top quality ceramic products. 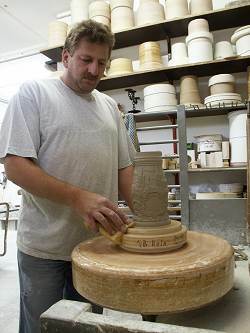 The Zoller & Born is a company that uses only the quality ensured clay of the Westwald region. 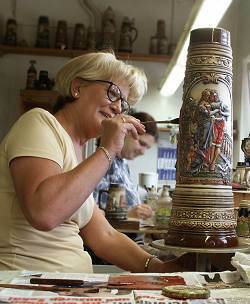 Zoeller & Born produces high quality stoneware on the same line of the ancient German art, using the same techniques. They consider it as their responsibility to preserve the age old tradition and quality of the products. The designer department of Zoeller & Born can boast of highly accomplished designers and artists. 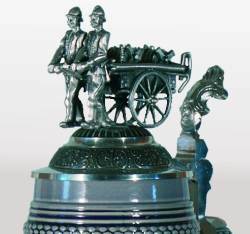 They are on constant efforts to produce new stein designs and molds. 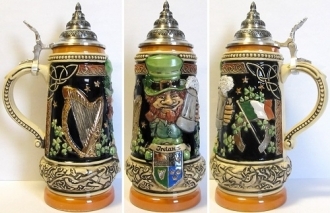 Every one of the Zoeller & Born beer steins is hand crafted at many stages of the production and they are exclusively hand painted products. That explains the relentless perfection of forms and colors on the relief of the steins. This makes them the favorites of collectors. The crafting of Zoeller & Born goes through various stages of careful manufacturing. Meticulous attention is given to every details of the product at every stage of the production. When a new design is produced by an artist, first it is subjected to the scrutiny of the design department and the management. When the design is approved by them, it is sent to the modeling section. It is here the stein takes its final form. All the details are finely scrutinized and the design is perfected and trimmed by hand. 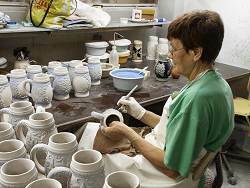 A transparent under glaze is applied on the stein. This again is accomplished by hand to facilitate uniform distribution of the glaze throughout the design. After the application of the under glaze, the stein goes into the kiln. Thereafter, it is subjected to controlled cooling to ensure t he quality and consistency of the material. T he cooled stoneware is now hand painted by experts using appropriately colored enamels. 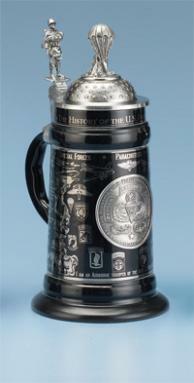 The beer stein is then fixed with elaborately sculptured and the finest pewter lids. These lids are individually designed for each series of beer steins. Now, the Zoeller & Born beer stein is ready for the final quality control department. 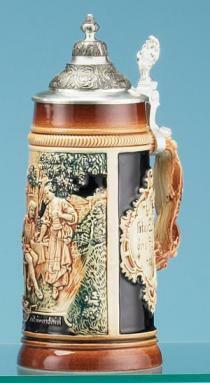 A magnificently made high quality beer stein thus emerges from the factory to conquer the world. Zoeller & Born is a company that supplies first class German beer steins all over the world. 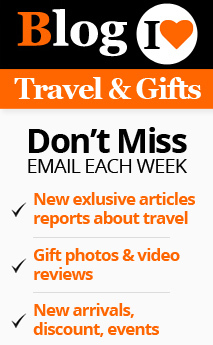 Their business spreads over 30 countries all over the world. The statistics say that about 35% of the total production is exported. The uncompromising quality of materials and craftsmanship has placed the Zoeller & Born German beer steins at the top of collectors’ items.